chromo, rigid, proper gearing, cheap, sweet. just ditch the ghey a$$ rock ring. only limiting factor is you if that's how you roll. Magic gear or how is the tension regulated? how is the tension regulated? super sweet. currently my only mtn bike is a cooker maxi from charge and i love the ride. 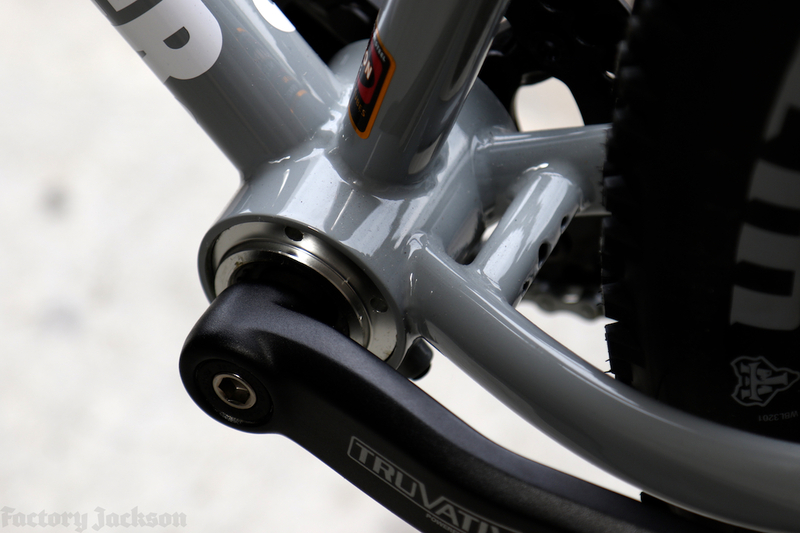 I don't think the Truvativ Powerspline is eccentric. Eccentric bb with set screws. They work great. My ti independent fabrication 29 single had the same setup with a phil wood ebb. Thanks for the link, I like that; a lot!! I have the Cooker 29er. Great bike. Love the geometry. EBB creaks occasionally but I just take it out, clean & grease and its good to go for a couple months. Stock hubs are very heavy. I built new wheels for it with some Sun Ringle hubs I had and some wider rims. ya a lil grease occasionally goes a long way. built up some nicer wheels for my maxi. stock 0 wheels will be the 1st to go once i beat the crAp out of em for a bit. On the Cooker I found that it's way better to swap the original EBB and put a Bushnell EBB, it won't ovalize the BB at least and it is way lighter. Is the headtube 1 1/8? Would be a major bummer. That thing is begging for a Fox 34 and a dropper. no it's not. plenty of bikes out there that you can put a sissy fork on. dropper=yuck. 1 1/8 ftw. works perfect for eons now and will continue to do so. keep it simple and real yo! Paid Spam! It comes in a can and is Yummy!